Web Application Development services optimize the effort of designing, developing and organizing Web application tools for business enterprise domains. To create a superior website along with ease of navigation remains our primary motive to entice maximum number of visitors. There are quite a significant number of companies and associations that have successfully carried out various business operations all over the world with the use of our Web Portal services. Websites have in today’s time become a necessity to endorse and promote your merchandise or services rendered. Most of the companies are becoming accustomed to these advanced features to target promotional and marketing for scalable and robust processes. Ripple Mind committed in delivering the full-cycle Web Application Development Services, covering each and every aspect of Software implementations, technical variables and marketing strategies, leveraging technology to build innovative and responsive websites, matching the customer's needs. We can assure you to provide result-oriented and cost-effective approach with high Return on Investment (ROI). Our Web App Development Company is responsive and active in responses that enables your business needs to include concepts of web applications development. We ensure in providing a glitch free website without any niggles and ensuring that our ideas are blended proportionately with efficient strategies and tailored conceptions to create a website par excellence. Our technical team operates your business to run smoothly and efficiently which helps you successfully achieve your needs and requirements. 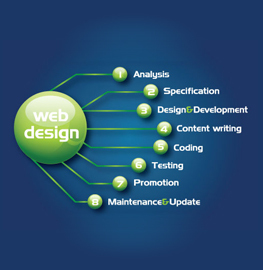 •	We have proven experience in the design of web application development, integrating in business applications. 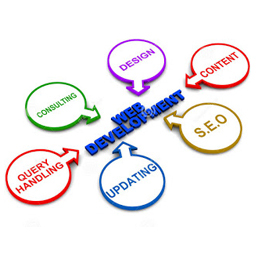 •	Providing seamless web development process and end-to-end web solutions for better project quality. •	We have a technically sound team with high degree of efficiency on web application development. •	We focus on systematic approach ensuring to match the clientele needs and requirements in terms of cost-effective and time-bound process. Ripple Mind is a prominent Web App Development Company, taking pride in providing Web Application Development Services for local as well as international business solutions. We process with a ideal solutions for a hassle free website, renovating ideas for your existing website or whether you are looking to redesign your website, starting a new website or providing a flash application development for your website, it has always been our effort that our clients receive nothing but the best. •	Advanced Web Based Applications. We have a team of experts who ensure in providing the best Web Application Development Services for scalable and flexible to use applications for different web-portals. Our Web App Development Company basically develops a business strategy, which meets your business and marketing goals through excellent services with advanced technologies and web applications tools. •	CMS (Drupal, Joomla, & Wordpress) and many more! We carry out effective Web Application Development Services solutions, based on cutting-edge technology, both in back-end and front-end use in creating customized Web Portals for your business needs. Our Web App Development Company in Bangalore has a professional team of developers and programmers in using different platforms. Today, users are allured and enticed by colorful and content enriched websites. Therefore, there have been a lot of online visitors looking for mobile devices or websites which give them the equivalent of viewing a website into their respective palms. But some websites do not really work very well on the mobiles as they may be compatible with computer browsers but incompatible with mobile browsers. Earnestly a phone is not what it was a decade or two back, just for calling people, today a phone has to be smart, it has to recognize gestures, should follow what you speak and must have the latest configuration and specs...It has to be a style statement not a mere phone. Our Panel of Experts in the mobile website team develop and understand the modern technologies and try to implement the best to give a fine level of compatibility across all browsers – be it computers, mobile or tablets. With the rising demand of mobile phones users, a well structured and customized Mobile Website needs to be optimized for the ultimate user experience. Our company has a team of experts that is specialized in customizing a rick-looking Mobile friendly websites, turning potential users into esteemed customers. Our Exclusive Mobile Website gives you a diverse experience to browse on mobile devices. We work on the ethics of strategic planning, deployment, time management, testing, analyze, and optimize for Mobile Web browsers. Our company has a team of professional experts who cater to the design and development of advanced mobile solutions using multiple platforms. With these mobile solutions the websites can be used in a vast array of fields such as business application, communication application, entertainment application, financial application, gaming applications. We are providing the best innovative web solutions to businesses across the globe. We have a very technically skilled team of developers and programmers with great technical experience in web services development. Responsive websites are which allows for cross-platform compatibility. Using fluid layouts that change the look and UI of a website based on the width of the screen upon which it is being displayed gives designers the ability to create websites that work on all mobile, tablet, laptops, and desktops seamlessly. We are Acknowledging the fact that mobile devices of all types are getting increasingly popular, Ripple Mind offers its clients a broad spectrum of mobile application development services.